Designed for personal use, the stylish and compact Prostyle+ 12 shredder provides sufficient security to shred confidential documents into approx. 400 4x35mm cross cut pieces. It takes 12 sheets at a time and features a handy sized 20 litre pull out bin taking up to 200 sheets. 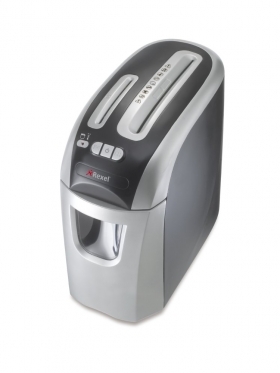 It also has a CD shredder with separate entry slot and waste container. Cross cut P-4 security level.